We are happy for the trip to Yushan and have experience guide. We hope to see you again. Yushan (Jade Mountain), 3952m from the sea level, is not only the highest mountain peak in Taiwan but also in Eastern Asia (higher than Mt. Fuji in Japan). However, the hiking trail itself is rather friendly compared to other high mountain hikes in Taiwan. As such a significant but friendly landmark, Jade Mountain undoubtedly becomes one of the most popular hiking routes in Taiwan. Yushan hiking trail locates in the Yushan National Park. To do a hike in a national park, it’s necessary to apply for permits. However, the capacity in Paiyun Lodge is limited. Jade Mountain’s reputation makes it very difficult to get the permits, especially on weekends and holidays. Good news is that Yushan National Park allows a specific number of foreign hikers (24 people per day; proved by a copy of passports) to get the permits on weekdays (Sun. ~ Thurs.) in advance. For foreign hikers, we strongly suggest you should visit Yushan during weekdays to easier get your permits. In order to apply the permits to Yushan through a foreigner-advanced process, the application can be registered 4 months before your hiking date. Earlier you apply for permits within this 4 months, the higher the probability you can get the permits. For hikers who prefer more challengeable hiking, you may consider other hiking routes in Taiwan, such as Nanhu Mountain and Chilai Mountain. The 2D2N Yushan Hiking tour is only available between April to mid of Dec. It's not available during snow season (around mid of Dec to March). To have a higher probability to get your necessary permits, we highly recommend hikers to do this tour during weekdays and confirm the tour at least 4 months before your hiking date. For example, if you'd like to start this hike on 1st of Oct, please confirm this tour by 1st of June. 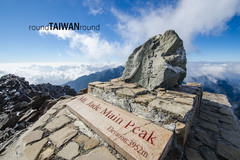 Premium service could be arranged at extra US$150 per person, including authentic aboriginal homestay with dinner on Day 0, upgraded exclusive lunch on Day 1 and the Certificate of climbing Yushan issued by Yushan National Park.